The officient plays an important role in nuptial celebrations. Whether you select a religious representative or a civil representative does not matter, but the particular person need to match your requirements and be able to work closely with you to perform the union rights and make it legally binding. Picking the wrong person can mean a disaster and not to mention additional costs that will have to be borne. Here are some factors to consider in selecting the right person. In looking for the right person, read reviews and gather as much information on the person as possible. Make sure that the individual you select is able to conduct the event in a smooth manner so you can relax and be comfortable. Not only should this person take you through the event smoothly, he or she should be able to inform and advice you on the actions you need to take and requirements you need to make. After all the wedding celebrants are there to make a legally binding ceremony. The person you select should be willing to get to know you and be pleasing to work with as well. In some instances you may still prefer to have your wows read before a religious officient, but choose to celebrate the event in a non religious setting such as a park or a place that is special to you both. In such situations there are still some officients such as a priest, a ministers or a rabbi who will oblige your requests. However you will need to understand the limits they will be willing to go to. This is because most clergy would be traditional and you cannot always expect them to agree to change the service as and when you wish. Therefore you might have to be flexible if you take this approach as some compromise will need to be made. 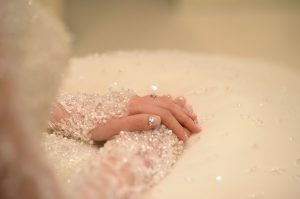 Apart from the glitz and the glamour, your nuptials need to be legally binding, which means that the person you choose, need to be able to sign the relevant legal documents. This can be tricky as come countries or even states may have different requirements. For example, a wedding celebrant in Sydney has to be authorised by the Australian Attorney-General’s Department. Some officients must be registered with the city clerk’s office even if they are a judge. In some religious ceremonies, a separate licence to indicate legal marriage is required. Therefore it is always better to do your homework depending on the place you are from. It is always best to ask and not to assume. Therefore make sure every question you have is directed to the official you hope to select. Don’t leave any areas unclear. Make sure you also understand the limitations the official has as well and be respectful. Another important aspect is to put everything in writing so that both parties can agree without getting hurt or disappointed. If you consider the above, there is no doubt that you will be able to find the most suitable person to officiate at your nuptials without any hassle.